"As my parents planted for me, so too I plant for my children." This quote from the Talmud expresses the commitment that Temple Emeth members, past and present, have made so that our congregation can remain vibrant and have financial stability. 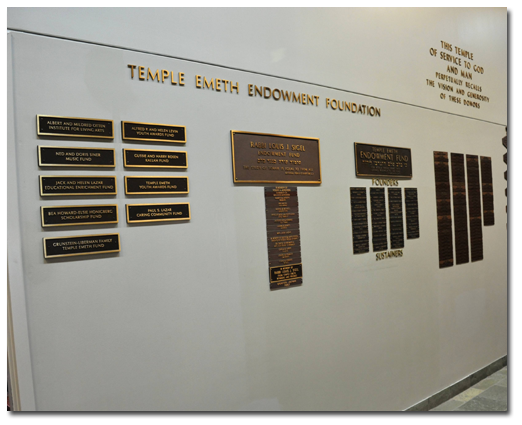 We acknowledge the generosity of our supporters on our Donor Wall, which is found in the hallway adjacent to the Trachtenberg Library.